Flight Fantasy, from a series of mobiles and sculptures of the same title, incorporates phonograph record pieces, hair, plaster, and feathers. This amalgamation of found objects creates a graceful arch that evokes the wings of a bird in flight. The gentle waving of the feathers underscores the motion and fluidity of this object. 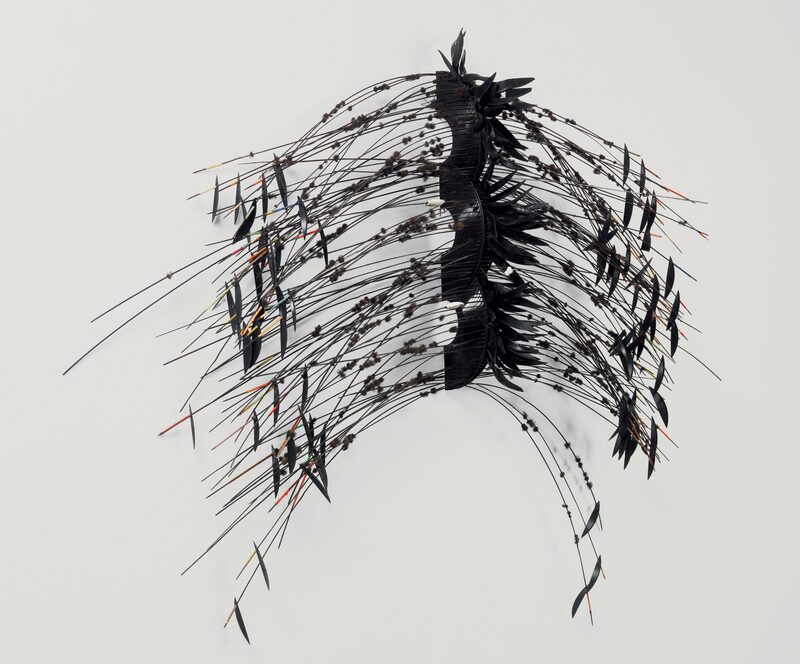 Additionally, Hammons's incorporation of African American hair is part of the artist's larger study investigating the use of this material for artistic purposes. It relates to his interest in questioning the ways in which his community was perceived within both contemporary and historical national contexts. “Flight Fantasy.” Now Dig This! Art in Black Los Angeles, 1960-1980 Digital Archive. Los Angeles: Hammer Museum, 2016. https://hammer.ucla.edu/now-dig-this/art/flight-fantasy.